The above quote was written in 1928 by the nephew of Sigmund Freud, Edward Bernays and it rings true today perhaps even more so now than ever! A recent viral video titled “Sinclaire’s Script For Stations” does a good job at portraying exactly what we’re dealing with when it comes to modern day propaganda! In this video Dan Dicks of Press For Truth covers how this is done, why it’s done and more importantly what you can do about it! Haven’t watched those idiots in 5 years or more. They are warning you against what they are doing to you. At least you can’t say you weren’t given notice. Repetition of something that sounds right, but keeps you disinterested and disengaged from being able to anything real, except to vote and put your faith in another. That is proving to be to the collective downfall of most of us. Others have their understanding of the Monopoly game we are in, and use it to their advantage. Please take our guns!! Please take them away! ? We are the borg. We will assimilate your mind. Having One thought, One will, One rule. The whole bacon point is Ironic because bacon has been a big promotional narrative for several years now. Bacon this bacon that Eat more bacon! Just a little constructive criticize, the mouse jitters are really annoying. Other then that the video is great! YouTube is used for marketing just as bad, this very channel is peddling cryptos as the best thing since sliced bread. Question everything! THEY are extremely dangerous to our democracy…o wait we are A republic. Dang. Super creepy the level of brainwashing going on. WTF?!!!! This why I don’t watch tv or listen to radio. One of the KEY ISSUES here is the DIFFERENCE between Real Objective News which should be FREE of opinion control and a free-marketplace of ideas VS. Opinion News, which is opinion directed content. CNN is “OPINION NEWS” the rest are as well such as ABC, NBC. CBS, PBS and others. Most people realize that FOX is more opinionated, but they DO NOT see that what they think is Objective news is actually OPINION PROGRAMMING. We need to rip these networks down unless they start doing the REAL job of FREE PRESS and balanced information. Talk show hosts like Rush Limbaugh or Rachel Maddow can opine all they like on OPINION EDITORIAL NEWS. which should be lableled as such. But this phony disguise of major networks PRETENSE of OBJECTIVE and BALANCED news is a mammoth deception! 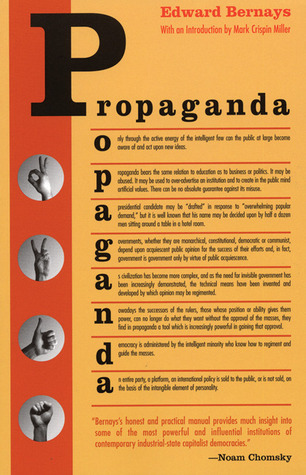 Look up the “Countering Disinformation And Propaganda Act” signed by Obama! 18:00 I couldn’t remember where I heard about this parroting news “script” before now. It was you, PFT, who told me about it. Before that, I had no idea that talking heads recited the same group think EVEN AMONG COMPETING NETWORKS! I distinctly remember feeling saddened and disappointed about this and I never again paid heed to anything said in a news report. Instead I learned to listen to what they weren’t saying. Thanks for the heads up, PFT. Chaplin already made a film on this! Dr. Goebbels News Network! 21st Century version! you should send this video too all these stations. If you don’t vote for the PC party in the next election you will get the Trudeau / Soros Government and you will loose you guns.